Need a Westeros fix now that Game of Thrones is on a long break and George R.R. Martin doesn’t have any pages? 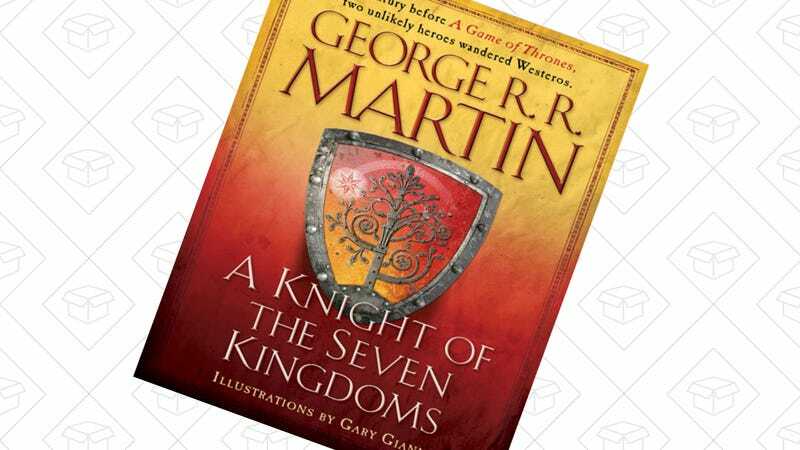 A Knight of the Seven Kingdoms is a collection of three prequel novellas recounting the adventures of Sir Duncan the Tall and his squire, Egg, who’s actually...nah, I don’t want to spoil it. Download it to your Kindle today for just $4. By the way, Kindles also happen to be on sale right now.